But before you download them please read these instruction carefully. Both of these reports are in "pdf" format. This means that they can be read using Adobe Acrobat software. Almost all computers already have this software installed. But if, by chance, you do not have the latest version of Acrobat installed on your computer then you can get a FREE copy here. This will allow you to open the two eBooks as soon as you download them, plus any other pdf's you may acquire in the future. Here is your "Toxic Ingredient PC Desktop Spotter's Guide" report. Please RIGHT CLICK on the link below and click on "Save Target As..." and choose the location you would like to download the report to - i.e. "desktop"
"Toxic Ingredient PC Desktop Spotter's Guide"
A unique combination of 10 of the world's most potent, antioxidant, superfoods. 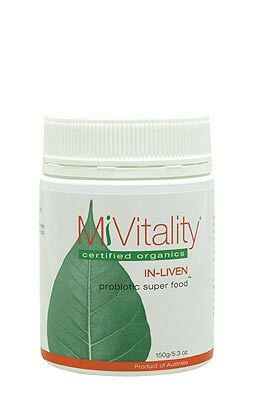 Contains certified organic, antioxidant-rich raw cacao (chocolate), fruits, berries and marine microalgae to support healthy immune function and protect cells. 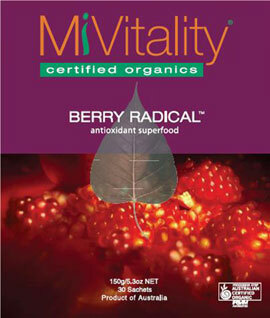 Contains a wide spectrum of nature's most powerful antioxidants: which may slow processes associated with aging. STOP PRESS: One serving of Berry Radical has recently been shown to contain over 7000 ORAC units -- Oxygen Radical Absorbance Capacity -- by independent Laboratory assessment. Your future health could be significantly safeguarded for the sake of less than GB£2 / US$4 per day -- the cost of a single serving! In-Liven is the result of over 20 years research & development. The bacteria are produced from fruits and vegetables and not fast-tracked from faecal matter (like SOME products currently on the market!). Contains significant enzymes, vital amino acids and a broad spectrum of essential nutrients. InLiven will re-colonise your gastrointestinal tract with the full spectrum of 13 Lactobacillus (friendly) bacteria strains (contains only the types of bacteria strong enough to make it to where it can really do you some good -- Many other brands do NOT have the full range, or even always the RIGHT bacteria! Read the label). Just blend with water, or juice to make a delicious smoothie, or simply sprinkle on your favourite food -- Intestinal health can be yours for around GB£1 / US$2 a day! InLiven has achieved remarkable results according to MANY testimonials for sufferers of IBS, acid reflux, and simlar digestive and gut-related problems. * Constipation - straining and struggling to have a bowel movement? And when you do manage to go, you're relieved, but still don't feel right afterward. * Bloated and bulging stomach - making you look like you've put on at least 5 pounds, right where everyone can see it? * Feeling 'heavy' below the waist than you ever remember. If so you NEED to get Maggie Simmon's Colon Cleanse guide now. Have you been thinking that what you might need is to undergo a complete 'detox'? Then this could be the answer. "...In just a few months your Program has turned my life around. My liver function test are now normal, my cholesterol has dropped and my headaches, stomach pains and bloating are a thing of the past. Thank you Calvin"
And here is our new collection, and additional free bonus for requesting the Toxic Ingredients Directory, from www.GoNandO.com: "Toxic Shock - Article Mini-Library" eBook . "Toxic Shock - Article Mini-Library"
We guarantee your email address is secure with us.